More than 4000 years old, the true meaning of this ancient, awe-inspiring creation and the secrets of its construction have been lost in the mists of time. Surrounded by mystery, Stonehenge never fails to impress. Over the last five years James Davies has been photographing Stonehenge at all times of the day and night, and all through the seasons. With privileged access to the stone circle he has built up a unique portfolio. A Year at Stonehenge brings together the best of his work, while a short expert text summarises our current understanding. Published to coincide with the opening of a new environmentally sensitive visitor centre and the restoration of the surrounding ceremonial landscape, this is the most visually stunning book available on this most fascinating world heritage site. 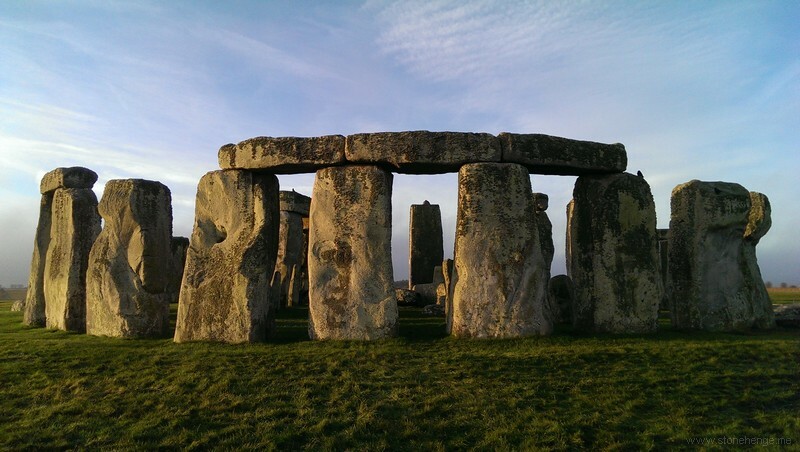 .....Even those who are familiar with Stonehenge will be blown away by James Davies’ photographs. He gets the macro (from a balloon! ), the obscure (runnels on the Slaughter Stone), and the micro (close-ups of the sarsens so clear you can see individual grains of sand that make them up). All types of weather are covered (except heavy fog or rain which would just obscure the trilithons), and even though the book is not set up with a progression of seasons (as the title might suggest), the reader will get a very good idea at how the look and feel of Stonehenge changes with the barometer and seasonal angle of light. ....This is a book to be treasured, but not put away. A Year at Stonehenge, like the Stone Sanctuary that it attempts to capture, is meant to be marveled at and studied at one’s leisure. James Davies’ masterpiece is a coffee-table book that will be left out on the coffee-table.